The Red Circle Ranch is operated by Mark, Darryl & Keith Christenson. We are a small family ranch located in southwest florida. The Red Circle name dates back to our father and grandfather who owned Red Circle Stock farm in upstate New York We became interested in miniature cattle around 2006 and thus began our search for the breed of miniatures that we wanted to raise. After visits to several farms and ranches in the area we bought a Dexter cow and a miniature hereford cow. Still unsure of which breed we wanted to raise we began doing more research and ran across the miniature texas longhorns and were immediately hooked. 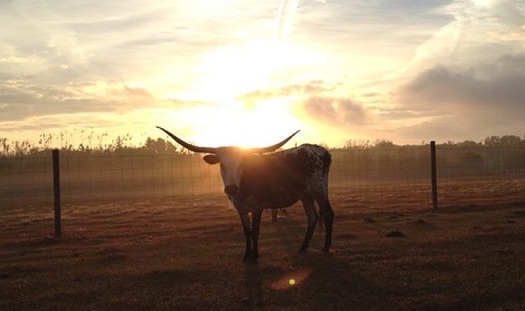 We then bought our first two longhorn heifers and bull from a local breeder and started our journey as miniature texas longhorn breeders. We have since sold the Dexter and Hereford and have decided to concentrate more towards the miniature longhorns. You won't hear us claim we are the largest, the first or the best miniature longhorn breeder, what we will tell you is you will be hard pressed to find another breeder that cares more about their animals then we do. Our animals are much more then just a sale to us. We would love to have you stop by for a visit as we always enjoy showing off and talking about "our kids".